Based on reviews from 4,040 experts and 466,561 users. Learn how our rankings work or see our guide to running shoes. Updated Apr 2019. Casual runners and seasoned athletes have spoken. Based on 100, 000+ reviews from online running magazines, web reviews and blog sites, RunRepeat has come up with a complete list of the top performing running shoes in the market. Each entry in the list has its own rating and a more detailed look once you click the links provided. This comprehensive list aims to help you choose the best running shoes from a variety of performance running shoe brands worldwide. .
Before you purchase the best running shoe, you need to learn the basic parts - the upper, midsole, and outsole. It is the top part of the shoe that holds the foot in place. It is usually made from a variety of materials to give the foot breathability, protection, and stability. The upper of the shoe is composed of several parts, and each part plays a significant role in giving runners a comfortable and satisfying experience. Toe-box - It is the front platform of the shoe where the toes sit and spread. It is one of the factors you need to consider when it comes to shoe fit. Make sure to give your toes enough wiggle room and have enough space to swell on warm days. Vamp - It is the upper front part of the shoe that incorporates the toe box. Tongue - It is the separate strip on the upper of the shoe. The purpose of the tongue is to protect the foot from lace pressure. It also helps the users to easily wear and take off the shoes. Some tongue is lightly-padded while others come with thicker padding. There are also shoe models that do not include the traditional tongue design. Laces - Laces are also called shoestrings. They are used to secure the shoes. Eyelet - The holes where the laces thread through. Most running shoes often have extra eyelet to lock the heel in place. Heel collar - Often called as heel cuff, the heel collar wraps around the ankle. It is cushioned and hugs the foot comfortably. It ensures a perfect fit and delivers added comfort. The midsole is the material between the upper and the outsole. It is made of spongy or gel material which aims to provide protection from impact forces. The best running shoes feature durable midsole that is also lightweight and comfortable for long runs. It makes up the base of the shoe and made of two materials - carbon rubber and blown rubber. The carbon rubber is a more durable material while the blown rubber is lighter and more flexible. The outsole design has durable materials for protection, tread for traction, and grooves for flexibility. Since the outsole makes contact with the ground, the outsole should be durable and grippy. Choosing the best performance shoes is a crucial decision for every runner. You should be aware that you have a unique body and biomechanics, so having a standard running shoe just won’t do. In picking the proper pair, there are different considerations to factor in. Aside from the pricing and your level of running experience, the best running shoe should also be able to improve your running without sacrificing things like comfort and support. RunRepeat is here to assist you in narrowing down your running choices. It cannot be denied that dozens of new performance shoes are introduced every season, which makes it confusing for the average runner to finalize a purchase. Not to mention the production of nth versions, as well as the entry of new footwear brands in an already saturated market. 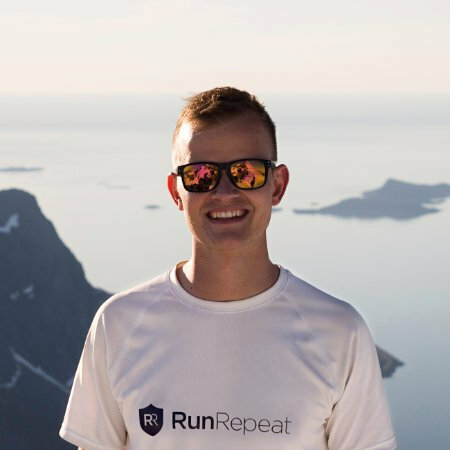 Fortunately, RunRepeat has gathered reviews from every corner of the internet to bring you honest-to-goodness snippets of the pros and cons of every model, old or new. With our comprehensive guides tackling the shoe basics (measurements, price, use) up to advanced information, such as shoe technologies and opinions of experts, our site will certainly get your heart racing. In addition, the RunRepeat team also provided recommendations to make shoe shopping easier, especially if it involves bagging that elusive discount. At RunRepeat, you get all the information you need about the best running shoes with just a few clicks. Road shoes are notably smaller and lighter than trail running shoes. This type is built to run on flat surfaces with limited debris, which means that responsiveness and speed are prioritized than protection. Road shoes have a more streamlined structure since they deal with a tamed environment and naturally don’t take a beating. Furthermore, only technical road shoes are packed with features and technologies to improve performance. An average road shoe would look normal at best. On the other hand, trail running shoes are more aggressive-looking. They deal with uneven terrain and encounter debris, such as rocks, roots, and mud regularly. This type of shoe prioritizes protection against debris and shock forces, as well as better landing control. Trail shoes are expected to be bigger and heavier than road shoes, given the technologies incorporated in the structure, like mudguard, waterproof lining and toe cap. The durability of a shoe is generally based on the materials used by respective brands during manufacturing; however, a shoe could also be toughened according to its category. Since road shoes do not tackle debris on the regular, these are made to have a lower durability threshold in exchange for flexibility and speed. However, trail shoes are designed to have superior durability so these won’t fall apart when taking a beating from nature. The sole structures of road shoes and trail shoes also highlight why these two types are different. Trail shoes commonly have aggressive lug patterns made from sticky rubber, since this sole structure is crucial to keep one’s traction and grip on uneven terrain (think muddy surfaces, loose rocks, and hard-packed rocky paths). The more technical trail shoes often have sharp sole features so digging in on snow and mud would be easier to keep balance and ground stability in check. In contrast, road shoes have flat undersurfaces made from abrasion-resistant rubber. This type of sole structure would do well on paved walkways, marble floors, treadmills and roads in general. It has adequate traction and grip to handle flat grounds, whether dry or wet. Arch support: Do you need it? If you have a neutral gait, congratulations! Basically, your body is already aligned and ready for running. In fact, your arches only flex a little, so having a pair of neutral running shoes would work. This type of shoe has lesser cushioning to allow a flexible heel-to-toe transition. Support is still present, but you can already transition to a minimalist pair for a barefoot-like movement. Runners with supinated foot motion also benefit from wearing neutral shoes, since this type focuses more on cushioning rather than correction. An outward foot rolling motion could be hindered with a lot of cushioning in the sides, resulting in a more fluid gait. Stability shoes are recommended for those with low arches, resulting in overpronation. An overpronated foot has the tendency to roll inward during the heel-to-toe transition, but a stabilizing platform can easily force it back on track, thanks to its cushioning technologies. Stability shoes often have removable footbeds to accommodate orthotics. Orthotic inserts can be customized to complement your biomechanics, especially if the arch support in your pair is lacking. If you are looking for the best running shoes that are corrective, search no further than motion control shoes. This type of performance footwear is designed to limit excess motion, which is a result of overpronation. Runners with flat feet will appreciate the stiffer and thicker midsole crafted from premium and hard cushioning since it stops the foot from excessive rotation during the gait cycle. Motion control shoes can also accommodate orthotics. Gait analysis is crucial, especially if you are a new runner. It is usually a complimentary service in running stores, but you can do it yourself at home. Having the best running shoes won’t be of any use if they are not complimenting your biomechanics. Remember that ignoring excessive foot rotation may not only result in discomfort but also lead to ankle and foot injuries, kneecap inflammation, torn ligaments and tendons, shin splints, bunions, Achilles tendonitis and various hip and lower back ailments. Running shoes are not just categorized according to terrain or technologies. It is best to acknowledge early if your pair is strictly for training or racing, so you can use it accordingly. Training shoes are usually standard running platforms with basic technologies to secure comfort, support, traction and protection. In fact, they are more protective than their racing counterparts, and even more corrective. Training shoes are pretty much in demand among fitness enthusiasts and running beginners since it’s easy to adapt to their structure. Lighter training shoes are preferred for speed workouts, while heavier ones are usually used for sports and gym work because of their cushioning and supportive features. Cushioned training shoes are also recommended for long distance running and recovery activities. Competition shoes, (also called racing flats) are built for speed. They are lighter and more minimal than training shoes. In fact, you can expect to see a form-fitting structure, responsive midsole and a unique lug design. Only a few of the best running shoes are dedicated to competition, since the majority of the running audience is not buying to compete. Competition shoes also work great for up-tempo running or speed training, especially if you want to break your speed record on the track or trail. However, its technical features hinder it from being used for casual activities other than sports. Its lack of cushioning (most likely to shave off weight for better speed) makes the foot vulnerable to debris; however, the flexibility is welcomed for those who want to pursue a barefoot-like running movement. Some of the best running shoes are versatile enough to be used while training and during race day. These platforms are usually preferred by seasoned athletes since they want to familiar feel of the shoe before using it competitively. However, running amateurs are beginning to appreciate such versatility, even if they don’t have plans to race in the near future. The downside of getting a versatile shoe is that there might be cutbacks in all aspects, like comfort, support, speed, and durability. Technology and innovation are two factors that have catapulted the production of the best running shoes to new heights. In fact, you are bound to see running shoes that have a variety of special features, such as waterproof linings, energy-converting technology, 3D-inspired cleat designs and second-skin fit systems. Every brand may have a different approach in presenting these special running shoes, but it cannot be denied that these are more than the usual shoe fare. Waterproof shoes are the answers to a runner’s prayer during the rainy season or winter months. Bad weather can truly hinder your running performance and make your foot uncomfortable with the wetness and coldness it brings. Fortunately, some of the best running shoes have waterproof versions, especially the trail-specific ones. Waterproof materials are usually incorporated in the upper and outsole to manage moisture and keep water and other debris from entering the shoe. Waterproof shoes are essentially bulkier and heavier because of the weather-resistant technologies present in their structure. However, the lug patterns are also enhanced to be more aggressive and grippy, so maneuvering across wet surfaces won’t be a pain. Triathlon shoes are somewhat unique because these are expected to fare well during the biking and running parts of a triathlon. It should not just prioritize speed, but also debris and impact protection, grip and comfort. Thanks to technology, the best triathlon shoes today exceed expectations in terms of training and racing. They are also incorporated with energy-converting materials so the impact forces absorbed throughout the run will not be wasted. Instead, they are used to push the runner into a forward momentum, resulting in better speed without compromising impact protection. Triathlon shoes should also be comfortable, given that the athlete would tackle three activities (swimming, running & biking) before reaching the finish line. Triathlon shoes are packed with light cushioning for better underfoot comfort, with a close-skin fit that mimics the foot’s natural movements. This type of shoes also has a stable base and versatile grip to tackle both trails and roads alike. Barefoot shoes are minimal in nature, with a second-skin contour that mimics your foot’s natural movements. This type of shoe has a bare-bones structure, which would likely appeal to people who want to pursue a natural running movement sans cushioning. However, the miraculous thing about the best barefoot running shoes is that these don’t endanger the foot, even on the trail. We have the technology to thank for state-of-the-art sole features, like the Vibram rubber. This compound rubber is popular because it offers a blend of protection and optimal ground contact without scrimping on durability and grip. Barefoot shoes are not just for running. It is also gaining popularity in terms of beachcombing, swimming, canyoneering and mountain climbing among others. The freedom of movement is technically the shoe’s selling point, as it offers better health benefits and proper posture. Some running brands tried to incorporate electronics into their running shoe models and they failed. Examples of these shoe models are the Adidas 1, Puma RS-100 Computer Shoe and the LA Gear CrossRunner shoes with red LED lights in the heels. The average lifespan of a running shoe is 400 miles. The average cost of a running shoe is between $100 and $120. Atalanta, known for her muscular physique and beautiful looks, is the Greek goddess of running. Fauja Singh is the oldest person to run a marathon. At the age of 101 years old, he was able to join the London Marathon in 2012 with a time of 7 hours 49 mins and 21 secs. There are different ways to lace up depending on specific foot issues. Check this 12 Running Shoe Lacing Techniques and Knots. Ideally, you should purchase a shoe in the afternoon or evening. What are the best running shoes for beginners? Beginners should buy a running shoe that offers a perfect balance of moderate cushioning, flexibility, and lightweight design. Some recommendations include the Nike Revolution 4, Kayano 25, and Brooks Ghost model. Before you purchase the shoe, make sure to get the right fit. For ideas on what running shoe best suits you, you can read reviews online or ask some tips from your runner friends. How much is a good pair of running shoe? On average, a good pair of running shoe costs around $100. But if you want a trail running shoe, then you should spend at least $130. Trail shoes are more expensive because they are more durable and have more protective features than road shoes. There are several factors that affect the shoe’s durability. The weight of the runner and running style are common factors to consider, but on average, you should purchase a new pair after 400 to 500 miles. Lightweight and minimalist running shoes usually last up to 300 miles. What are the lightest running shoes? The Altra Vanish-R is one of the lightest running shoes in the market today. It is a minimalist running shoe designed for road running. The Altra Vanish-R is a unisex shoe that offers breathability and unmatched comfort. What are the best long distance running shoes for men? The Brooks Ghost 11, Gel Kayano 25, and Pegasus 35 are the best long distance running shoes for men. These shoes offer durable and consistent cushioning, miles after miles. They also offer a great level of comfort, support, and flexibility. These running shoes are also available in women’s version. What are the best road running shoes for women? For road running, the best road running shoes for women is the Pegasus 35. For the trail, women should consider the Asics Gel Venture 6. Both shoes are durable and comfortable to wear. They also received positive feedback not only from female runners but also from male users. What running shoes are best for marathons? Brooks, Nike, and New Balance are among the brands that manufacture running shoes for marathons. Some shoe models to choose from are Brooks Adrenaline GTS, Asics Gel Kayano, New Balance Kinvara, and New Balance 990. However, you have to remember that you need to find the best marathon running shoe that suits your running style. Shoes that work for others may not work for you, so test as many shoes as you can until you find the perfect one. What is the best cheapest running shoe? The Nike Downshifter 7 is one of the cheapest running shoes. The shoe is designed for runners with neutral foot mechanisms and is best for the roads. The shoe is available at the cheap price of $60. There are also affordable running shoes from Adidas, Asics, and Skechers which you can purchase below $100. What are the most expensive running shoes? The Altra Torin IQ and Altra Timp IQ are expensive running shoes. What makes them expensive is the smart technology they have - the Altra IQ Technology. This smart technology aims to help runners improve their performance by providing them with real-time feedback. The feedback and running suggestions are based on the data collected from runner’s actual movement. The IQ technology is the latest innovation from Altra. What is the most popular shoe for road running? The most popular road running shoe as of 2018 is the Nike Air Zoom Pegasus 35. The shoe becomes very popular because of its design, performance, and durability. It is made from high-quality materials and is available at a very reasonable price. Other running shoes to try are the Ghost 11 from Brooks and Kayano 25 from Asics. The performance of these two shoes is comparable to the Pegasus 35. Can wrong running shoes hurt knees? Yes. Getting the wrong pair of running shoes can hurt the knees badly. The wrong shoes can also create hip pain and other injuries. It is very important to know your running style and foot shape before you purchase a pair. Ask yourself a few questions like “Am I a neutral runner?”, “Where will I run?”. If you are a beginner, don’t purchase an expensive running shoe. There are cheap running shoes in the market today that are durable and reliable. How do you wear new running shoes? Check the fit. Running shoes should be comfortable and you need to get the perfect fit. Put them on first and observe if the shoe is rubbing your skin or if it feels uncomfortable. If they are too small, you might end up having blisters and skin irritation. Break them in. Wear the new shoe and do some walking before you actually run. If the fit becomes uncomfortable or if you are starting to have blisters, consider returning the shoe and try another pair. Go for shorter distances. Stick to short runs (not more than six miles) and alternate it with an old running shoe. This will allow your foot to adjust to the new cushioning and structure.